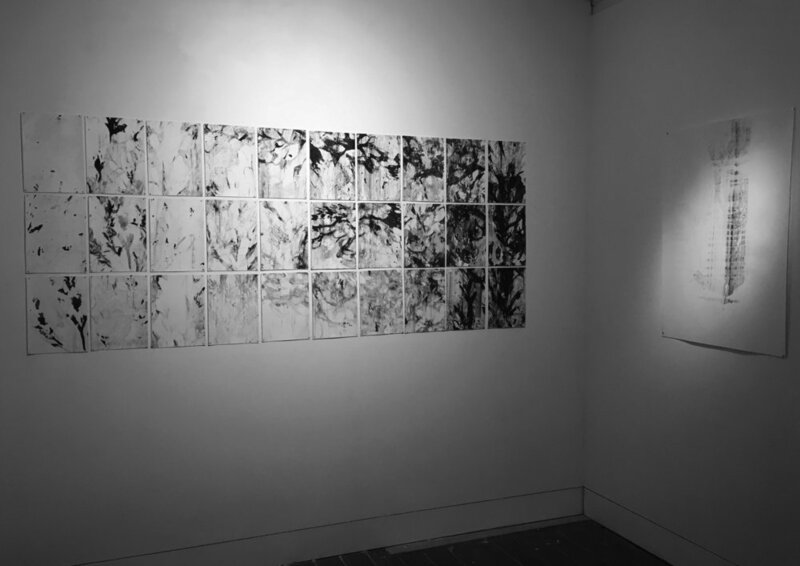 The drawn imagery in the RESIDUE series have been created using a combination of two analogue techniques that are used in both textile and fine art fields: silk-screen printing and mono printing. Silk-screen printing traditionally offers the possibility of allowing a single image that has been exposed onto the surface of a light-sensitive mesh screen to be printed over and over to create a series. In contrast, mono printing within a fine art context is a process whereby just one image is formed. 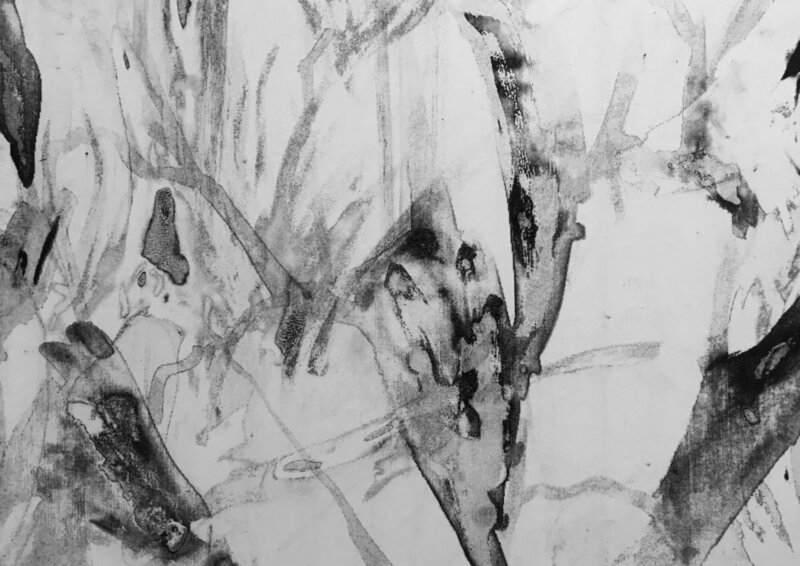 The RESIDUE series explores both of these techniques in a hybrid manner, merging fine art and textile process in an exploration of drawn image and surface transformation. It explores an in-between site of creative practice concerning material and surface visualisation. The impact of this inter-disciplinary method of working is that it is both a physical and visual manifestation, or a drawing out of gestural images created in a hybrid manner. The beauty of the painted residue left behind is recognised for its instability, unpredictable nature and ability to convey a unique abstracted representation of what exists. The process is open and immediate, one that is ever changing and not possible to replicate, denoting movement, spontaneity and a sense of visual emergence. 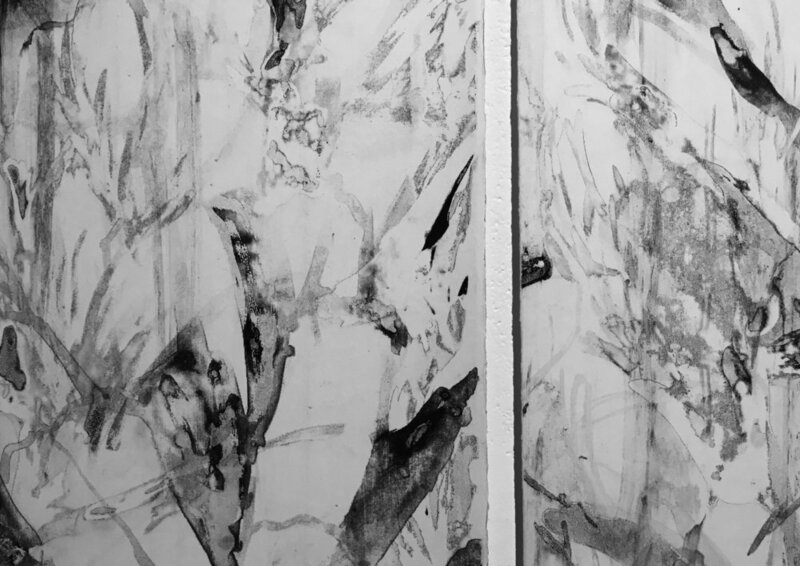 The RESIDUE series of works shown at GAFFA gallery were exhibited in an installation context to explore the inter-relationships between image, surface and material, and their hybrid nature when created through a drawn action. 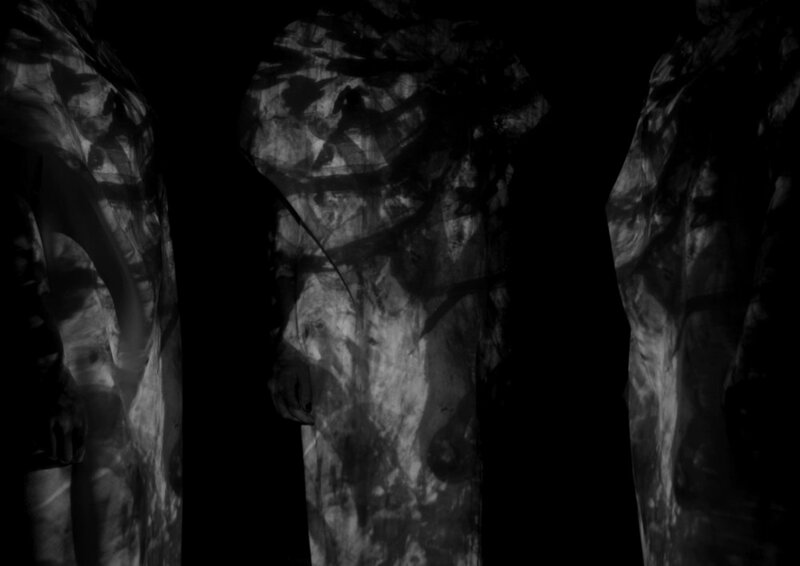 By using a combination of analogue and digital media in their presentation, including silk-screen, mono printing and digital projection, the experience of the works challenges our understanding of where the drawn act and visible residue sits within creative practice. RESIDUE thereby reveals an in-between site and space for drawn gestures, marks and lines to appear and be created, whose solidity and materiality metaphorically dissolves through a process of drawn iterations.